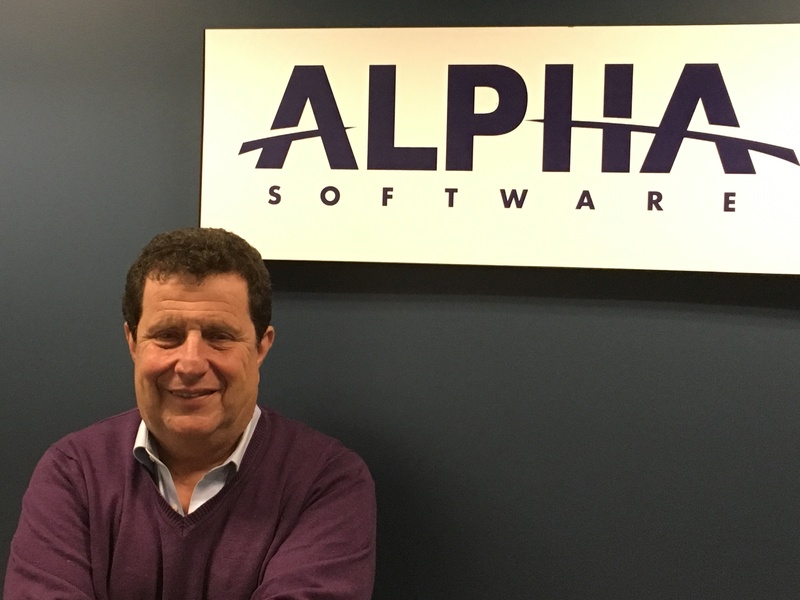 Last week, Alpha Software released the results of it’s in-depth survey of almost 2,000 enterprise developers: “ Enterprise Developers Rank Critical Requirements for Success in the Coming Mobile..
Enterprises can't get enough of mobile apps --- that makes it tough for developers to keep up with the demand to create feature-rich mobile applications in a timely way. 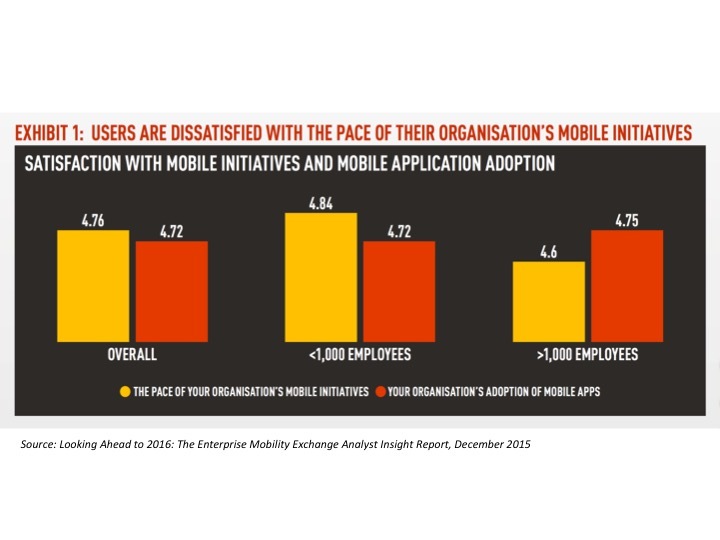 Research shows they're..
What are the most important enterprise mobile app features that end users are crying out for? 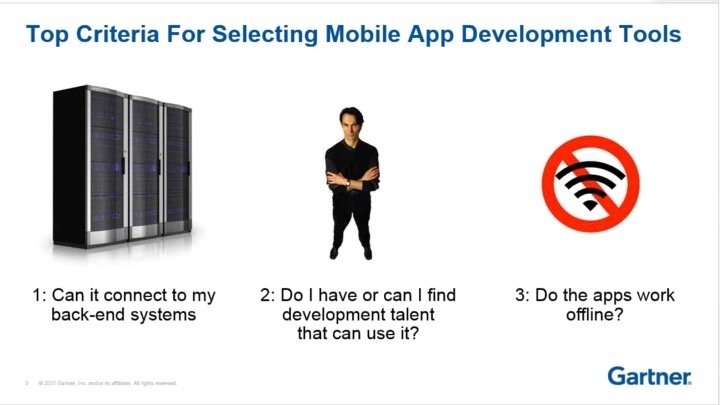 We've got the answer based on data from nearly 2,000 developers on lessons they've learned building..
What’s ahead for mobile and mobile application development in 2016? 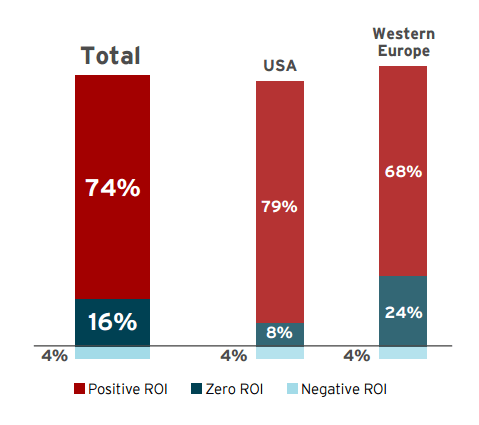 The Enterprise Mobility Exchange and VDC Research’s new report, “ Looking Ahead to 2016,” has useful insights for enterprises..
Enterprises commonly outsource their mobile application development today, assuming that it’s less expensive to pay highly skilled consultants than it is to pay for in-house staff. 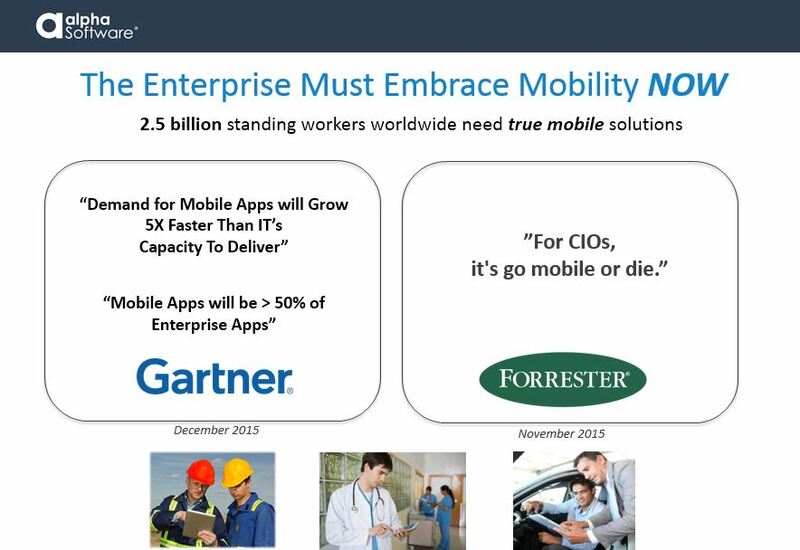 But a new..
As we move into 2016, it is becoming clear that for competitive and productivity reasons, businesses and organizations are going to be embracing mobile more than ever. As businesses mobilize.. Most companies are in the early stages of developing mobile apps, and so are still learning how to best design them. They're only now beginning to build applications that go beyond the basics of.. 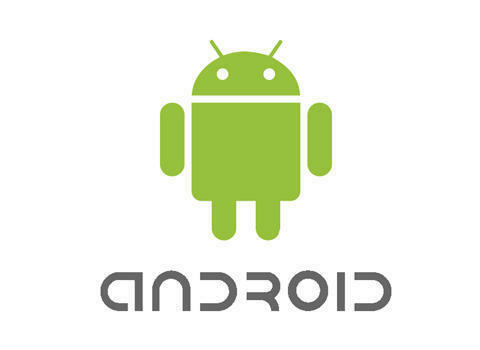 WHEN BUILDING MOBILE APPS FOR BUSINESS – MAKE SURE IT IS A TRUE MOBILE APP. 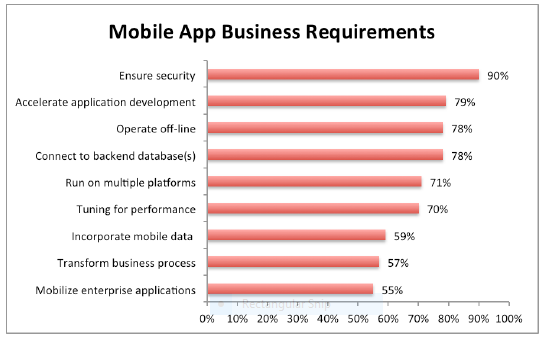 As companies increasingly recognize the urgent need to build mobile business apps for competitive reasons,.. Arguing which mobile app platform is the most popular among developers can be like debating religion --- much heat, little light, and even less information. But if you want to know the truth.. The world is catching up to the idea that the model of slow mobile app development is broken, and that enterprises need to speed up the time it takes to develop apps, using rapid mobile..